To get even this far, readers have to make great efforts to join the dots. I encountered this sentence in The Economist. I have looked up the dictionary but still cannot understand the meaning of "join the dots". Could you please help me with that? The author seems to be suggesting that tacit mass collusion in history’s greatest crime turned Germans, through fear of their own looming retaliatory victimisation, into fanatics. But this grand hypothesis emerges only in fragmented form from these individual accounts. To get even this far, readers have to make great efforts to join the dots. Many will be left yearning for more help from the author. Source: Fate and furies: How Germans perceived the second world war, The Economist. 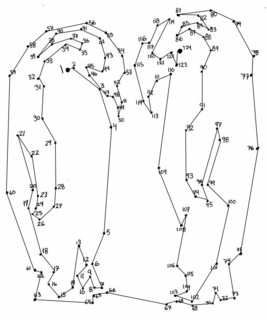 Once you connect the dots in sequential sequence in a dot-to-dot puzzle, the picture will be revealed. This essay is a review of the book The German War: A Nation Under Arms, 1939–1945. The connect the dots puzzle is certainly what this sentence references. 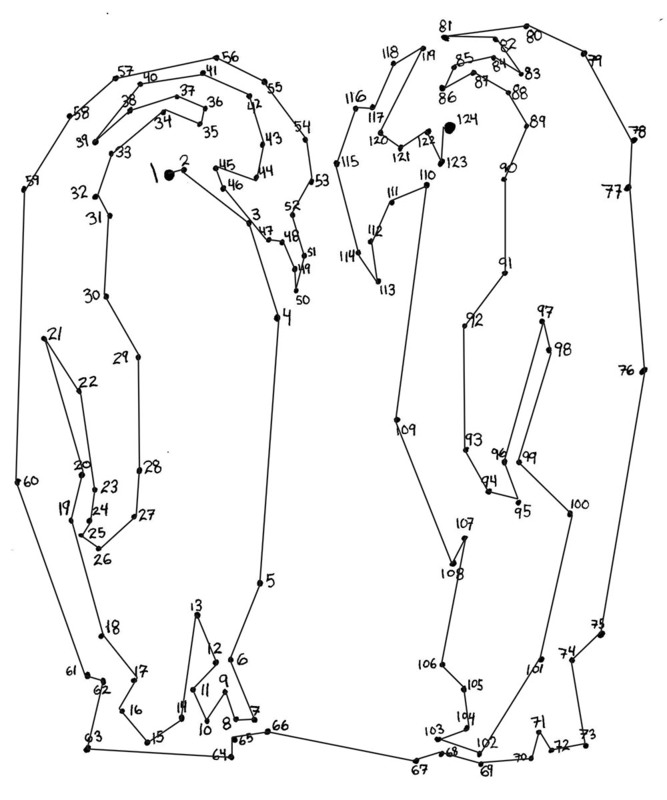 In adult discourse the phrase "connect the dots" can be used as a metaphor to illustrate an ability (or inability) to associate one idea with another, to find the "big picture", or salient feature, in a mass of data. To be more specific what the article is saying is that it's necessary for a reader of the book he's reviewing to have to follow a series of logical leaps to get from the initial statement to the final result. But, as the Economist writer is saying that the author does a poor job of making those leaps between points easy to follow. Mr Stargardt has come close to writing a ground-breaking book. And yet he falls just short. His method of using letters and diaries of ordinary Germans yields unexpected insights, both into the Germans’ humanity and their turn to barbarism. 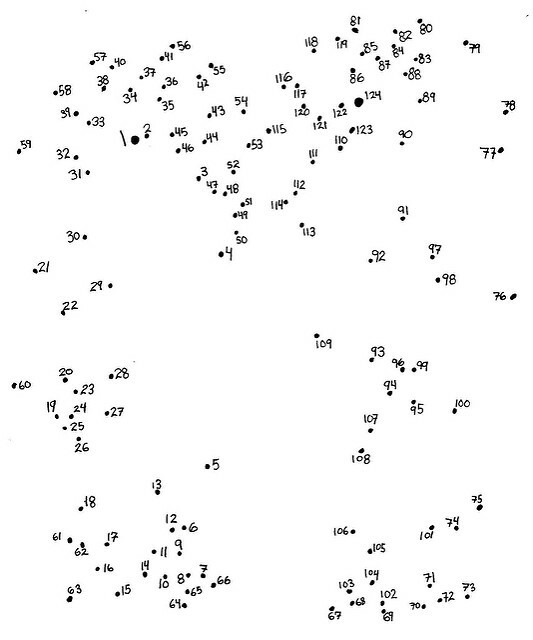 In this excerpt, it shows us that the metaphorical "dots" are likely the letters and diaries quoted in the book. For graphs of which term is prevalent in which English dialect, plot them with Google NGram Viewer. Have you watched or seen the children's show 'Blue's Clues'? Blue is a dog that leaves clues (3 clues per episode, 1 topic/ idea/ answer). After Steve (Blue's owner) collected the 3 clues he will sit on his thinking chair to analyse the meaning behind Blue's clues. That process, I think, is joining/connecting the dots. What does “the hubris of the defeated” mean? What does “on the ground” mean? What does out of the box mean? what does “in the elevated” mean? What does the metaphor 'bad blood' mean?